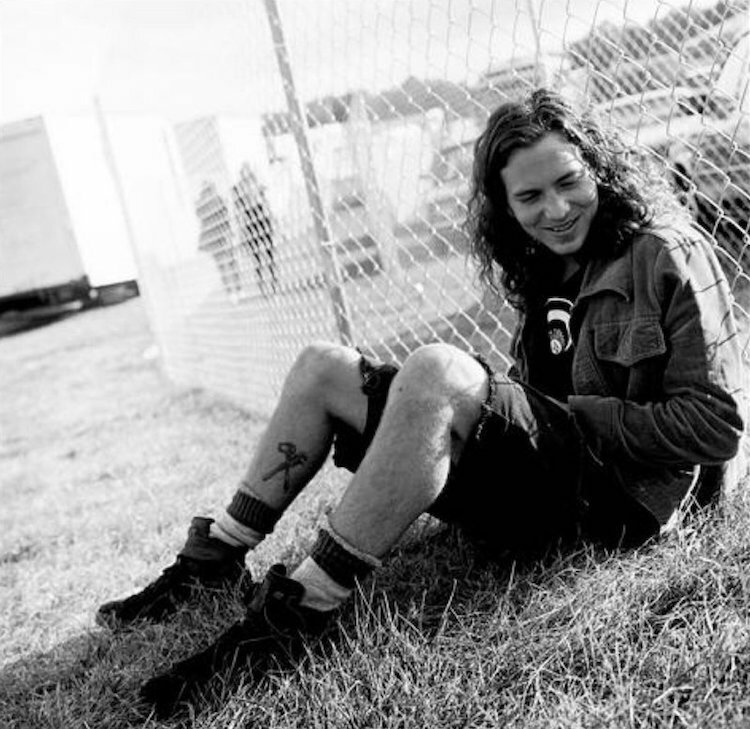 Eddie Vedder getting his grunge on. In 1991 I was a freshman at an all-girls high school in Toronto. I was 15. And the person I looked like the most was Eddie Vedder. Eddie wore flannel shirts, and so did I. Eddie had long ragged hair, and so did I. Eddie knew about angst. I was also an expert. But while Eddie was busy with arena rock anthems and living his flannel fantasy 24/7, I was worrying about how to make friends and be my most badass self, all while stuck in a school uniform. The school-aged Eddie-obsessed writer, on the right. That uniform, a beige button-down and a green kilt, tie and socks (ideal daywear for a leprechaun), was mandated. Naturally, it had to be modified. An untouched uniform meant you followed the rules, which also meant social death. So we wore socks, never stockings, even in winter. Covering your legs was for babies. We rolled up our kilts and pierced our ears and loosened our ties, going for the slack, layered look of a rock star. I idolized the girls whose uniforms looked like they cared the least, all scuffed shoes and shirts hanging out. They used their uniforms as a kind of litmus test, to see how much they could get away with; clothes were a tool but they were also a weapon. At night we wore black eyeliner and thinned the calves of our jeans with safety pins, a holdover from the 80s. I remember the safety pins because they killed your fingers; the rest was an Eddie- approved cocktail of overalls, jean jackets and as much corduroy as I could stuff into my closet. The look fit the music playing at all the parties, INXS, U2 and, of course, Pearl Jam, songs struck through with a dark goth heart. All decades have a flavor and this one was bittersweet. Why did I wear all those things? Why do we wear anything? I was trying on different lives to see which one might fit. All teenagers want to stand out, blend in, be seen and be invisible all at the same time and I was no exception. But like most 90s teens, I eventually ditched the flannel. I grew out of my Eddie phase. I don’t dress like him now, but I still love practical clothes built for a lifetime of proverbial mosh pits. And I still love the way that clothes can help us match our outsides to our insides, while occasionally letting us break the rules. out with her teenage nieces.